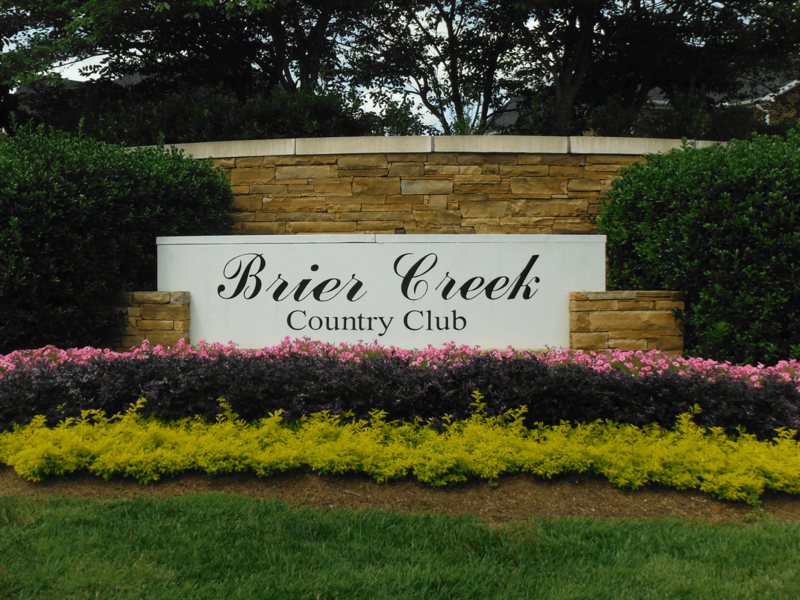 The Brier Creek Country Club in beautiful Raleigh, North Carolina is a fabulous community that offers unparalleled quality, an exceptional lifestyle, and the kind of curb appeal that one might think only exist in a storybook. Developed by national home builder Toll Brothers, Brier Creek sits in an optimal location that’s just minutes from downtown Raleigh, and only a short drive away from nearby Durham and Chapel Hill. Although Brier Creek was built by just a single developer, homes for sale in this incredible master-planned community are surprisingly diverse and feature a wide range of styles and designs. On the smaller side, The Cottage Collection at Brier Creek offers an assortment of luxury townhouse-style and single-level homes with low maintenance and just enough living space to feel comfortable. Larger single-family dwellings are of course also available in the neighborhood, but regardless of size or style, each home inside Brier Creek boasts exceptional character, leaving most potential home buyers thoroughly impressed with all the possibilities. Amenities at Brier Creek also help enhance the community lifestyle and include a clubhouse with a fitness center, an expansive swim and tennis pavilion, and of course the magnificent 18-hole Arnold Palmer golf course that was recently ranked among the top 40 golf courses in North Carolina by North Carolina Magazine. For more information about Brier Creek homes for sale or other Raleigh real estate on the market, give me a call today or just start browsing any of the available homes listed below!